Similar to the MELD score, but for pediatrics: determines prognosis and prioritizes receipt of liver transplantation. The MELD score helps to estimate prognosis for pediatric patients with end-stage liver disease, and is used to prioritize transplant recipients. McDiarmid SV, Anand R, Lindblad AS; Principal Investigators and Institutions of the Studies of Pediatric Liver Transplantation (SPLIT) Research Group. Development of a pediatric end-stage liver disease score to predict poor outcome in children awaiting liver transplantation.Transplantation. 2002 Jul 27;74(2):173-81. Shinkai M, Ohhama Y, Take H, Fukuzato Y, Fujita S, Nishi T. Evaluation of the PELD risk score as a severity index of biliary atresia. J Pediatr Surg. 2003 Jul;38(7):1001-4. Shneider BL, Neimark E, Frankenberg T, Arnott L, Suchy FJ, Emre S. Critical analysis of the pediatric end-stage liver disease scoring system: a single center experience.Liver Transpl. 2005 Jul;11(7):788-95. Bourdeaux C, et al. PELD score and posttransplant outcome in pediatric liver transplantation: a retrospective study of 100 recipients. Transplantation. 2005 May 15;79(9):1273-6. Barshes NR, et. al.The pediatric end-stage liver disease (PELD) model as a predictor of survival benefit and posttransplant survival in pediatric liver transplant recipients.Liver Transpl. 2006 Mar;12(3):475-80. 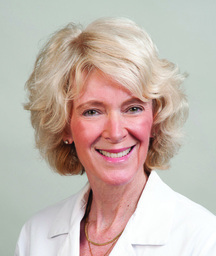 Suzanne McDiarmid, MD, is the chief of pediatric gastroenterology and the director of the UCLA Intestinal Transplant Program and Intestinal Failure Center at UCLA Medical Center. She is also a professor of pediatrics at the UCLA School of Medicine. Dr. McDiarmid researches liver and pancreatic transplantation.